An author and publisher always have their collective breath held, while they wait to read the major press reviews. Two key reviews that an author wants to be favorable are from Publisher’s Weekly and the Booklist Online. The Publisher’s Weekly review is important because it is the ‘Consumer Reports’ reviewer for the industry. If you get a positive review here, you are likely to get many other good reviews from other publications. The Booklist Online is for the American Library Association. Here are four reviews that Rose’s Baking Basics has received from Publisher’s Weekly, ALA’s Booklist Online, Eater, and Food & Wine. 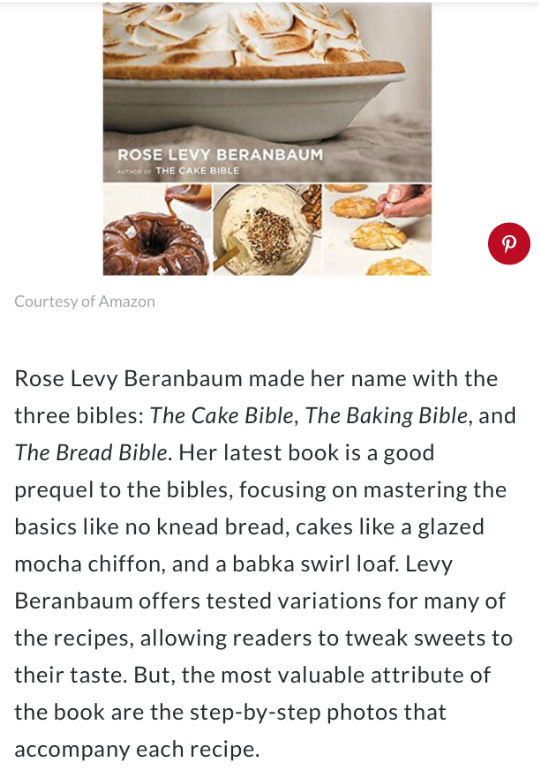 Booklist Online: The best book reviews for public libraries and school libraries, and the best books to read for your book club, brought to you by the ALA.
Booklist includes a very positive review for Rose Levy Beranbaum’s ROSE’S BAKING BASICS in their 9/1/18 issue. Stay tuned for next week's Rose's Basics posting: Publisher Weekly's Partners in Crème.